Hyundai Motor India is all set to launch its most coveted compact SUV Hyundai Creta in the Indian market by the end of this month. This compact SUV is perhaps the most hyped vehicle as this is the first one from Hyundai that will directly compete with the segment leaders like Renault Duster and Nissan Terrano. To intensify the existing cut- throat competition further, Hyundai will price it in a very strategic way. While designing Creta, Hyundai has employed its proven design philosophy i.e. Fluidic Sculpture 2.0, which is evident from the fantastic outer body design. Some of the design elements like front grille resemble to that of Santa Fe. Three different engine options are available to power Creta. They are 1.6 Lit engine (one Diesel and one petrol) and 1.4 Lit Diesel. The petrol motor of 1.6 Lit will produce 123PS of power while the Diesel motor of the same capacity will generate 128PS of power. The option of Automatic transmission is available on 1.6 lit Diesel engine. 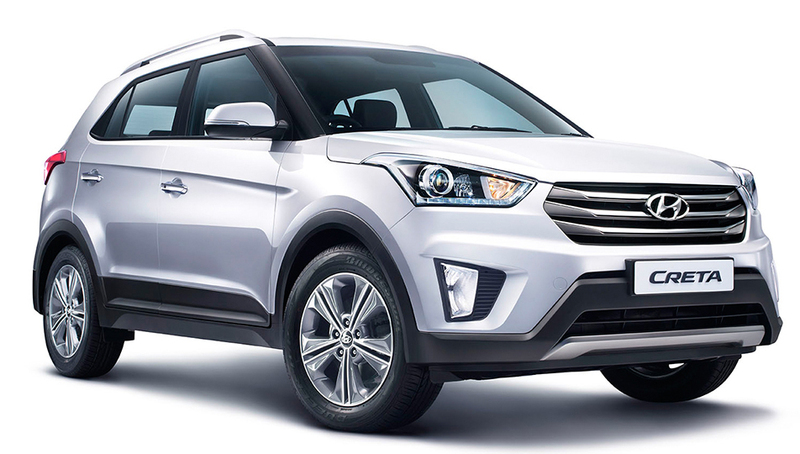 According to the information received from our sources, Hyundai Creta will be launched in India by 21st July 2015.